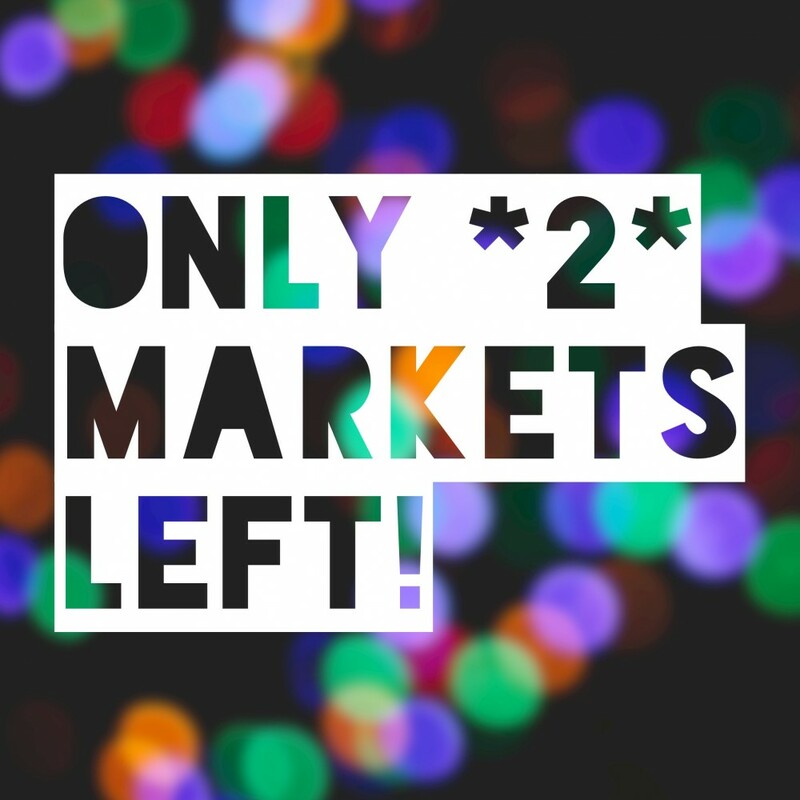 There are only 2 MARKETS LEFT in 2016! Holiday shopping is a priority right now, but don't forget about your day-to-day shopping list. RFM takes a break for January and February, and we'd hate to find out that you forgot to stock your pantry! With 2 markets left, now is the time to start thinking about grabbing an extra tub of honey, sack of potatoes or pan of frozen lasagna for later. For the holiday season, our liquor vendors will be offering free samples of their products to help you decide on the perfect gift. Try before you buy at Black Fox Distillery, Last Mountain Distillery, Living Sky Winery, Prairie Bee Meadery, and Over the Hill Orchards. New vendor, Sweet Little Secrets, attended their first market last week. Everything was delicious, but I'm particularly fond of the melomakarona (a Greek Christmas cookie soaked in honey). For the time being, this vendor will be offering a limited assortment of cookies and cakes, beautifully packaged and ready to be gifted. Please take the time to stop and welcome Sweet Little Secrets to RFM, and maybe leave with a package of honey-soaked cookies! Also on the lower level is RFM Kids' Club! This week, kids will be colouring with edible markers on cookies from The Cookie Lady. They can use their creativity to doodle on cookies shaped like toques, houses and ornaments. When they're done drawing, kids can eat the cookies right away or take them home for later. Don't forget to come back next week for a new and free activity! RETURNING VENDORS: BarnCat Designs, Clark's Spices, Dressed by Les, Hartsfeld Jewelry, Latino Bake Shop, Sadza Arts & Craft, and Trogi Foods (last market!). Not all vendors are mentioned above; see the Vendor LIST for all in attendance. Refer to the Market MAP for vendor locations on the upper and lower levels (2 pages! ).